It’s time for a game that was on the back burner for a very long time. I got this game years ago, but better late than never right? Since I saw the TV shows not too long ago, it seemed like a good opportunity to finally play the game. It has some unique concepts when it comes to the gamplay, but unfortunately the puzzles, boss designs, and the plot hold this game back a little. It’s still a fun little adventure, but it certainly could have been a lot better. Having to play the game 3 times over to see the true ending was a bad sign from the start. 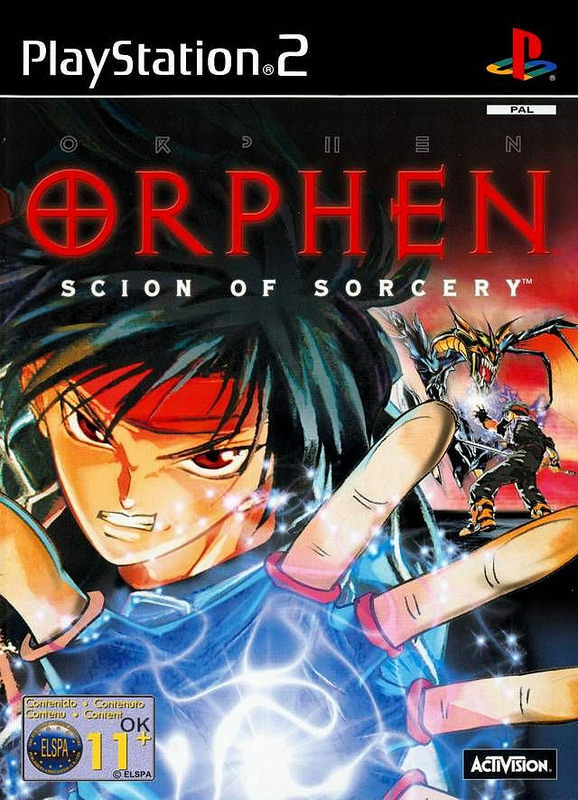 Orphen is a sorcerer and currently travels along with his apprentice and a heroine who is seeking adventure. Two trolls tell them that a boat is heading to their next destination, but unfortunately, Orphen never learned that you should not trust trolls. The boat is actually heading to a haunted island. The mystery thickens when the ship is attacked by monsters and Orphen is forced to land on the island. From here, you have the option of helping out one person out of the three individuals. You can help out the tough warrior who is searching for his daughter. You could help out the girl who is trying to find the grave of her fiancee to properly mourn him. Or, you can help a kid find his mother who is lost on the island. You can only help one person per playthrough though and then you have to start the game again to help the next person. There will be some slight changes as Orphen partially remembers that he has gone back in time, but quickly forgets after the first cutscene since the game doesn’t know which story you’d pick first and a lot of the dialogue would change if Orphen remembered. No matter who you help, you’ll eventually try to find the Crystal Egg which lets you pass through time. You’ll need to do so in order to locate the missing people and keep the giant monster at bay. Once you’ve helped everyone out, you can finally fight against the true boss of the island. Unfortunately, the plot goes off the rails by the time you finish it. For starters, the three stories can’t seem to agree on anything. In the kid’s story, the old lady is actually a hero who is trying to keep the beast from waking up and destroying everyone. However, in the lady’s story, the old woman is the one kidnapping kids and aging them into teenagers to further her own ambitions. Likewise, in the warrior’s story, she is also the main villain. The ending sheds some light on this, but makes the rest of the story more convoluted as well. See, this island was actually one big illusion. It may be more accurate to call it a theater stage though. The robot would animate the bodies and have Orphen live through fake quests based on old stories from ancient times. That’s why the characters kept switching roles and personalities. It’s because the actors were playing different characters at that point. Luckily, one of the souls was still wandering around and inhabited the robot’s A.I. assistant and summoned Orphen to destroy him once and for all. Graphically, the game is all right. The character models are good for their time and the boss designs are fun. The levels are also quite big and there are a nice variety of them even if a few like the tower and the boat are overused. My TV has a very tough time playing any PS2 game without the lighting going down to its minimum levels. This made seeing the game a little trickier than it should be, but it has happened so many times that I’m pretty sure its an issue on my level rather than with the game. Nonetheless, I was always happy to see a rare daytime level as most of the stages took place at night. Day-Time levels are better 99% of the time as a good night level is quite rare. Still, they are possible of course, you just have to make sure that it is still light out like in the good ole Shadow The Hedgehog game. There are actual anime cutscenes in the game which was really impressive for its time. I still get excited to see that nowadays since it is as rare now as it was 10 years ago. There may not have been a lot of them, but it was better than nothing. As for the soundtrack, it is very limited so I wouldn’t expect much from the title here. The minion theme is boring, but the boss track was fairly good. Those are really the only two big themes in the game although a few more will pop up here and there. It’s certainly sub-par though and I expect better from a game like this one. All right, lets talk about the actual gameplay. There are two different styles to be found. When you’re not locked in combat, it is your standard 3D platformer. You walk through the levels and try to get to the end of them. Sometimes you will have to find items, step on switches, break objects, or solve puzzles. You have an energy sword, energy blasts, and you can jump in this mode. The energy blast is never used once, but it is fun to look at I suppose. The sword is useful once in a while for breaking towers. This part of the game is fun for the most part, but the puzzles are extremely annoying when they pop up. One puzzle has you reconstruct a music piece using 6 tunes, but only 4 of them are in the pass code. It sounds easier than it is as the combinations that sound right don’t work. You assistant will let you know which 4 notes should be used in the combination, but I spent over 2 hours trying out every possible version and none of them worked. Why is that? Well, to see if it really worked, you actually have to hit the retry note which will apparently play your combination against the lock. What this means is that I actually did get the right answer a few times, but it didn’t count in each instance because I didn’t hit the white note. Now that was just terrible and very annoying. There were other such puzzles that got old very quickly. Even chasing the bunny was a pretty sad minigame as you apparently had to walk slowly to catch him, but the game never even hints at it until someone mentions this fact. Ah well, at least the combat section is mostly fun. You can equip up to 4 spells to use and one of them is a barrier. You must time your attacks well so that you can block and retaliate while not getting hit. This gets tricky when a lot of villains show up so at that point I recommend just blasting away at them all. The bosses can be a bit long at times, but most of them are fun as well. The only cheap boss is the final one which is very poorly designed. He’ll block anything you throw at him when he feels like it and will occasionally send in minions to attack you. There are so many minions and they attack so quickly that you are sure to get hit by them. I just kept on trying and trying until I somehow landed enough blows to win. A lot of luck was involved and the boss would just randomly not block at times while he would on other occasions. One helpful tip is to remember that you can retry the battle if you are about to lose. That way you won’t have to go back to your last save point. Trust me, it will save you a lot of time considering that the cutscenes can’t be skipped and that they are quite long at times. There is absolutely no replay value unfortunately. Once you have beaten all of the stories and obtained the true ending, there really isn’t anything more to do here. The main campaign is fairly long though since it is over 10 hours. That will last you long enough to justify the purchase and the game probably would have really dragged on had it gone any further. I can’t say that I was too pleased about having to play the game 3 times over even if it did a better job of making all the stories unique than most titles. I guess the fact that the game could keep on switching everyone’s roles without worrying about plot holes probably helped quite a bit. Overall, Orphen certainly could have been a better game. The combat gameplay was very unique and it was fun to play around with. The game probably could have done more with it since most of the bosses and minions were a little too similar. For being a puzzle game, there luckily weren’t a lot of puzzles, but some of them were still extremely annoying so that is definitely a good thing. Fans of the Orphen TV show should definitely check it out. Just seeing the gang again should be nostalgic even if the voices are way different here. Orphen’s meanness is also exaggerated quite a bit here, but it was fun to listen to his lines so I was pretty cool with that. To the average video game fan, I recommend it, but cautiously. 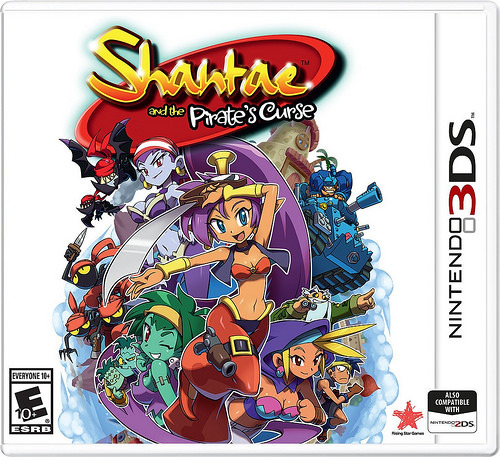 You can certainly do better and find a game that will grab your attention more, but this still isn’t a bad game. You’ll just slowly find that you lose more and more interest in the title as you get closer to the end.